Doom, one of the granddaddy’s of the FPS is coming back. It’s been such a long time since anything really good has been released bearing the Doom name though. 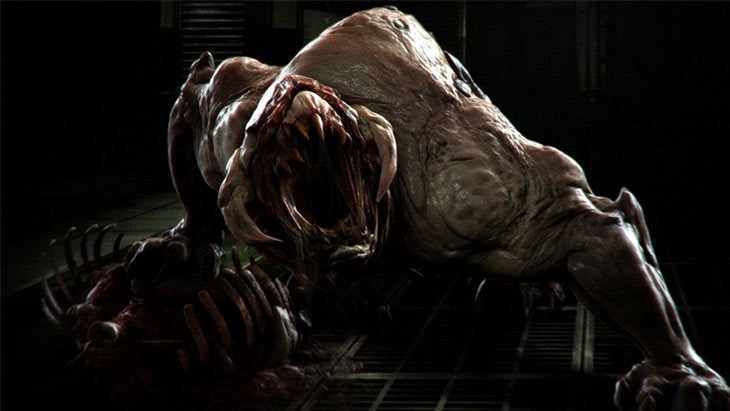 Doom 3 wasn’t terrible, but it’s been a full 10 years since release. Doom finds itself in a similar position to Wolfenstein in that regard, in that it has to prove that it has what it takes to get players interested once again. It’s something that publisher Bethesda realises all too well. Speaking to MCV (via OXM), Bethesda’s premier PR chap, said that they’re approaching the new Doom as they did with Wolfenstein. That game’s been given a swift reboot to the nuts, and it’s turned out rather well. Speaking of Wolfenstein, Hines told MCV : “The last couple of games were either ‘ok’ or ‘not great’. It wasn’t a franchise where people were desperate for the next one. Wolfenstein isn’t Uncharted. We knew this would take some explaining. But developer Machine Games has now untarnished the IP. “We view that similarly to Wolfenstein, because it’s been so long since the last Doom game,” Hines continued. “We are going in as if we need to prove ourselves all over again. We have no free passes. Nobody will assume this is going to be awesome. The newest Doom is, for the first time, being developed without any of its creators working on the project. Tom Hall works for casual gaming publisher PlayFirst, John Romero has all but slipped in to obscurity and John Carmack has moved on to virtual reality purveyor Oculus. Doom 4’s had a bit of a troubled development cycle, and mayhaps this fresh look at Doom will actually be a good thing for the game. Expect a tonne of demonic Doom news to come from Quakecon which kicks off in just over a week. Unfortunately, iD and Bethesda want to keep the game’s content under wraps for eyes of attendees only. Naturally, something will be leaked. To refresh your memories, here’s a look at the game’s teaser.